Roller Team motorhomes’ A-Class range has been updated for the 2019 season, now with three models to choose from. 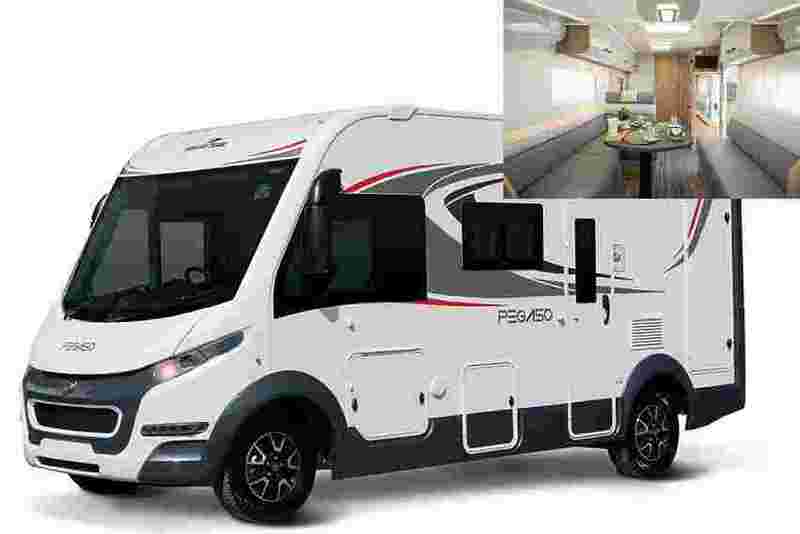 The new Roller Team Pegaso 590 is a rear washroom model at under six metres in length. Providing the best of both worlds, no more do you have to choose between versatility and luxury. Other models in the Roller Team Pegaso motorhome range feature either a luxurious raised rear island bed, creating a separate tranquil master bedroom, or a popular U-shaped lounge for entertaining guests or simply indulging in a good book. Many modern technologies are fitted as standard, including cruise control with speed limiter, solar panel and reversing camera, making the Roller Team Pegaso new motorhomes ideal for all 21st century motorhome lovers.